Looking to customize your FN/FAL rifle? You might need more than a Picatinny rail. Many of today's modifications work only with the KeyMod system. If you have a FN/FAL rifle without a KeyMod guard, then the AIM Sports 11.3" FN/FAL KeyMod Handguard w/ Rail Top is perfect solution for you. Engineered and manufactured by AIM Sports, this KeyMod handguard drop-in is designed for standard and metric FAL variants. Machined from 6061 aluminum and hard-coat anodized, it's functional, durable and reat-looking. 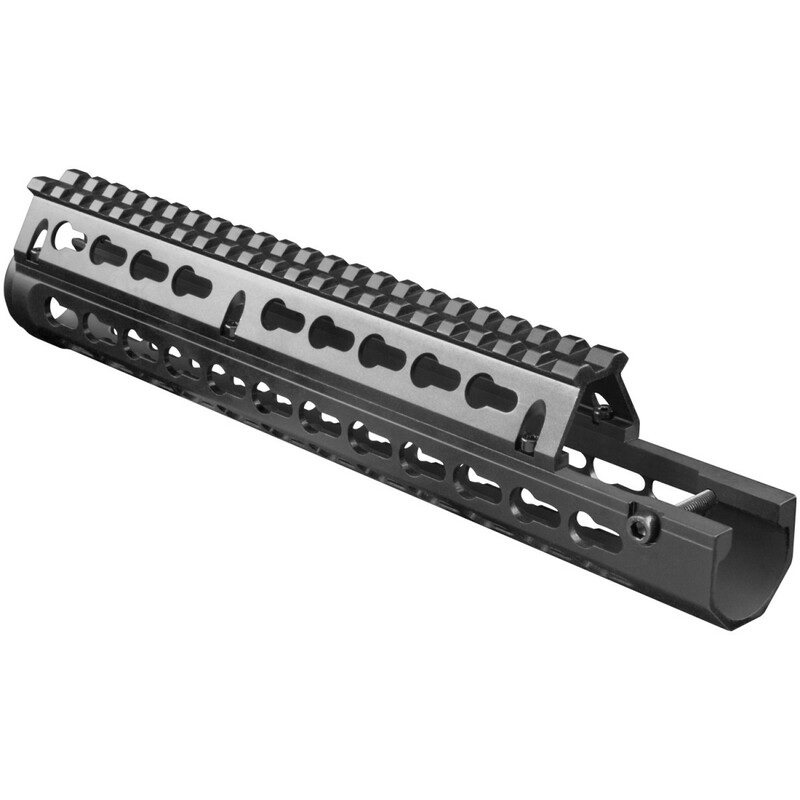 This model has a continuous Picatinny 1913 top rail with 7 KeyMod rows for increased modularity. Plus, its drop-in design means there is no gunsmithing required for installation. No matter what type of equipment you're looking to add onto your FN/FAL rifle, the AIM Sports 11.3" FN/FAL KeyMod Handguard w/ Rail Top will help make your modification a breeze. Order yours in black here at Airsoft GI today!